Up to $1bn in dodgy money from Chinese investors appears to have gone into the Australian property market over the past financial year. 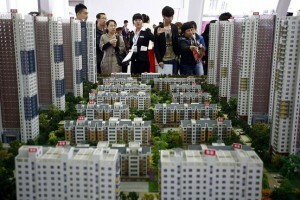 This has raised concerns about the scale of illegal purchases of Australian property by buyers from the Asia-Pacific. Data from in the 2015-2016 annual report of the Australian Transaction Reports and Analysis Centre (AUSTRAC)show that in total, $3.3bn worth of transactions were reported to the organisation during that financial year. Approximately $1bn of this amount went into foreign property transactions. There’s growing concern from regulatory bodies and the general public about the level of foreign investment in Australian property markets, particularly in the residential sector, amid fears that competition from foreign buyers is driving up domestic house prices. Meanwhile, numbers from the Foreign Investment Review Board (FIRB) suggest that the dollar value of foreign investment in all forms of real estate has increased five-fold, from less than $20m in 2009-2010 to $96.09m in 2014-2015. Of this, approximately $60.77bn went into residential real estate, including $49.25bn in new or newly-constructed homes and $11.5bn in existing dwellings. Under laws designed to channel foreign residential real estate investment toward new construction, foreigners are banned from purchasing established dwellings in Australia unless they intend to live there while staying in the country. At a national level, there is very little evidence that foreign property investors are significantly affecting the pricing of established housing. In fact, the $11.5bn worth of foreign investment in established dwellings reported to the FIRB represents only half of all foreign purchases of established dwellings. Even if there is widespread flouting of rules, the $23bn worth of total foreign investment activity going into established dwellings during 2014-2015 would not have had a huge impact when compared with the $211bn which domestic residents borrowed to finance established house purchases for owner-occupier purposes. In the same financial year, $125bn was lent to investors for the purchase of established housing. Nevertheless, AUSTRAC’s data suggest that illegal purchases of Australian property by Chinese investors could be more prevalent than was previously thought.